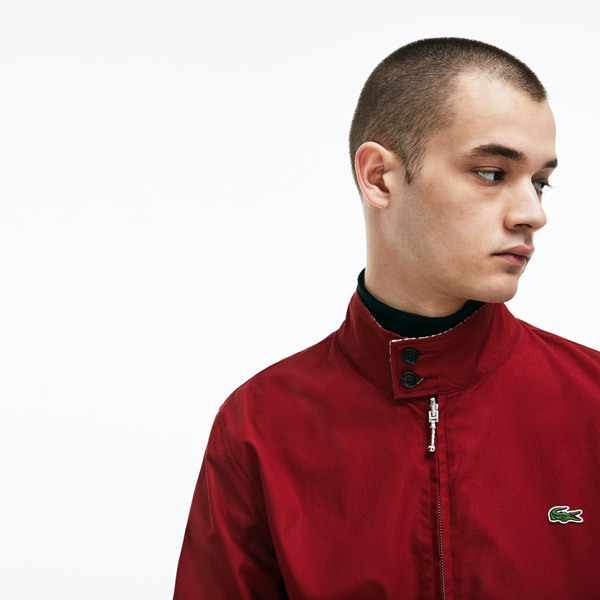 Two for the price of one with this Lacoste reversible Harrington-style jacket, which is a great option if you fancy a variation on the classic Harrington. 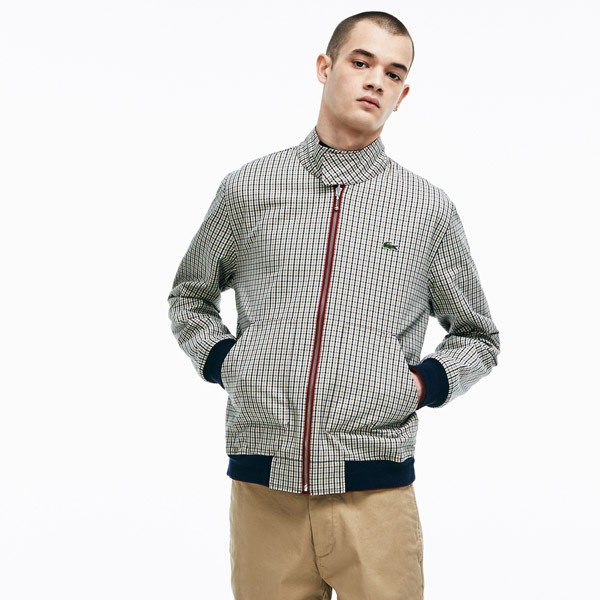 In fact, it is actually two jackets for a lot less than one Baracuta Harrington jacket if you want to be precise about it. Over £100 less in fact. But this isn’t trying to replace your Harrington. 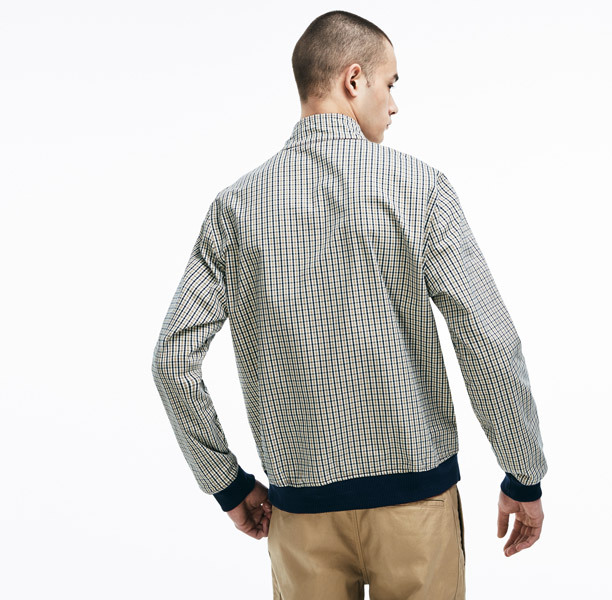 Although the design does hint at it, not least when it comes to the button collar. But it does lack things like the umbrella vent and the button pockets. 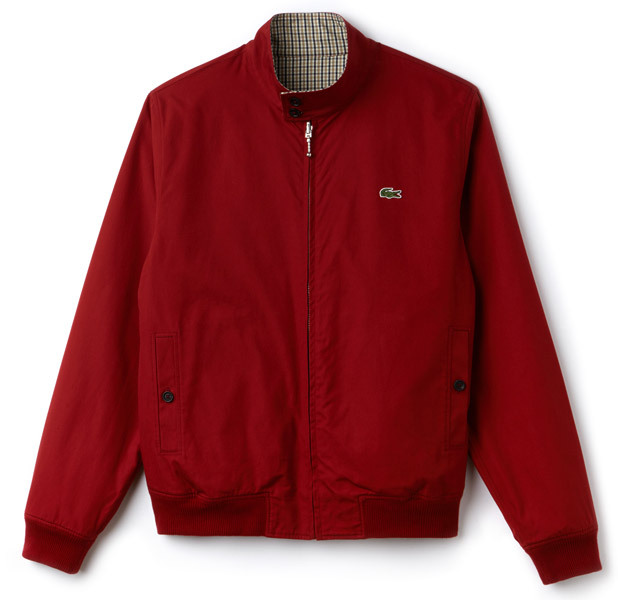 Saying that, it does have a trick of it own, which is the option to wear it as a side check jacket with red lining or as a play red jacket with – you guessed it – check lining. 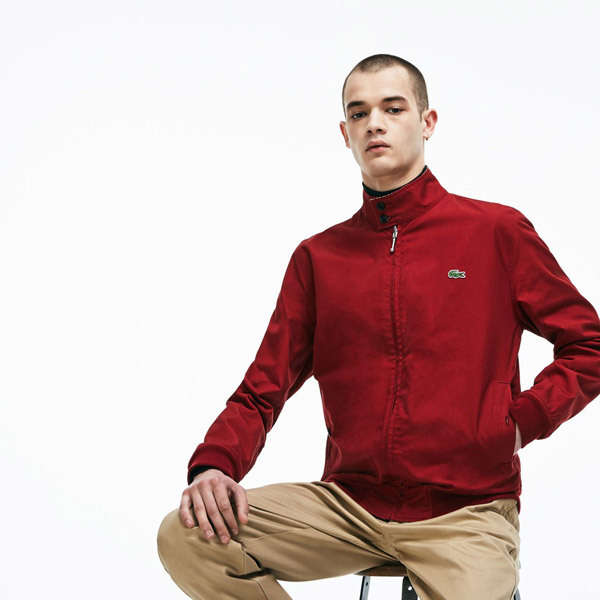 Both versions have the Lacoste logo and pockets in place, as well as elasticated cuffs and waist. Ideal too if you spill something down one side when you are out. Just flip to the other jacket and you are spotless once more. 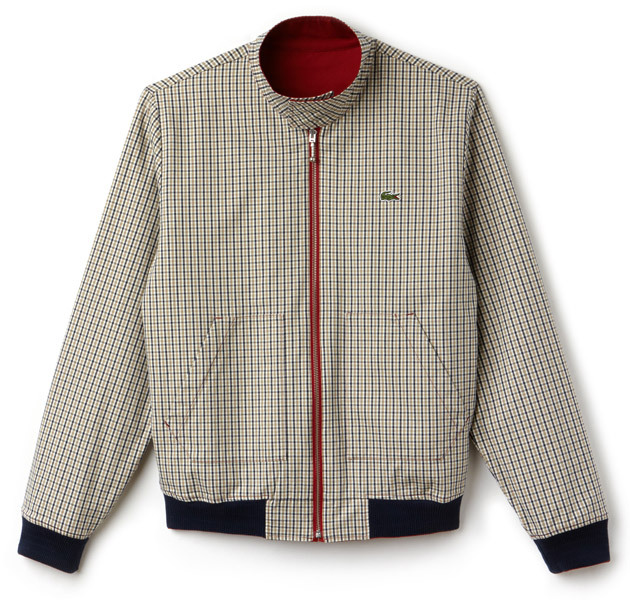 The jacket is made of cotton and is available in sizes from XXS right through to 3XL. The price for any of those sizes is £210.